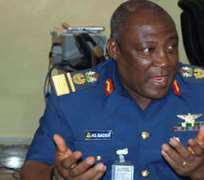 The Defence Headquarters said on Friday that it had uncovered a plot by some groups to embark on a campaign of calumny aimed at discrediting the military. This is contained in a statement signed by Maj.-Gen Chris Olukolade, Director of Defence Information, in Abuja. The statement said that the campaign was aimed at indicting the military and its operations in the Northern part of the country. 'The campaign, which is to rely heavily on doctored and falsified audio visual materials, is already trending in the social media.
' The materials are to be coordinated and funded by a prominent political leader whose state is presently under the State of Emergency. 'The details of the plan, which is (are) already being fine-tuned by a group of media practitioners, is (are) to be presented for the final ratification and funding by the political figure, '' it said. The statement said that the campaign was expected to forcefully whip up sentiments of genocide allegedly targeted against a particular religious group. It alleged that the perpetrators also hoped to use it to gain some mileage in the drive to secure international attention. ''They have not achieved this sufficiently despite previous efforts. 'The military reiterates its rejection of pictures and video footages from unverifiable sources claiming to reflect activities or so called atrocities purportedly perpetrated by Nigerian security forces. 'They do not reflect or depict the true state of affairs or operations of Nigerian military or any of the security forces,'' the statement said. It, however, advised the public to watch out and not allow themselves to be hoodwinked by these acts of infamy orchestrated by this desperate group. The statement said that the dastardly acts of terrorism were against all Nigerians and all peace- loving people all over the world. It said that no amount of propaganda by apologists or terror group could justify the evil acts of terrorism by attempting to cast the Nigerian military and security forces in bad light.